join our mailing list below to be notified when we are back! Practice begins at 10:30 sharp, please arrive by 10:15am. Bring water and wear comfortable clothing. Please bring your own cushion if possible, some will be available. Some people also enjoy having a light personal blanket and eye mask/cover. Chairs also provided. There is a suggested $5 dollar donation at each practice, no one will be turned away for lack of funds. The science is in, meditation is a transformation practice that can create better health, focus, and connection to our own experience. Meditation literally changes our minds, our bodies and our lives. We invite you to join us for an hour of quiet sitting, breath work, and occasionally guided meditations by our instructor Abby Brammell. She will also introduce guided meditations from her teacher Reggie Ray who's work with the the breath and the body is truly remarkable. The nature of this Meditation Practice in non denominational and non religious. 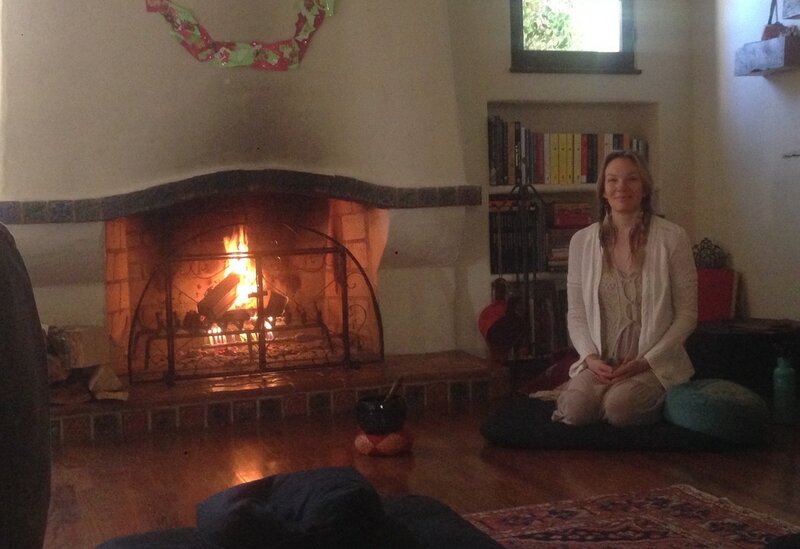 Abby Brammell has been practicing meditation for 15 years. She is devoted to the technique of somatic meditation, is a mother of two and a professional actress.